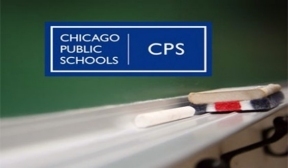 Chicago Public Schools (CPS) announced that suspensions and expulsions fell significantly in School Year 2014-15, using a research-based approach to improve students’ achievement and reduce exclusionary discipline. These results follow an overhaul of the District’s Student Code of Conduct in the 2014-2015 school year designed to move away from exclusionary disciplinary practices that remove students from the classroom when instructional time is key to success. The District’s strategy is focused on both research-based preventive structures and targeted interventions to address the root cause of students’ behaviors (trauma-focused groups, targeted skill-building, restorative responses that repair relationships, among others), and delivering tailored supports to help those students excel, all while keeping them in the classrooms. Across the district, expulsions fell by 57 percent. Out-of-school suspensions fell from more than 69,000 occurrences in SY12-13 to fewer than 25,000 in SY14-15, a 65 percent decrease over two years. Yet while in-school suspensions have increased by four percent over this time, this signifies that more students remain in the learning environment to receive restorative methods that address discipline issues. The reported usage of recommended disciplinary practices – including instructive, corrective, and restorative practices – more than doubled during that same time period. CPS has also expanded alternatives to expulsion – such as intervention programming – and provided intensive individualized intervention supports (individualized counseling, substance abuse counseling, mentoring, etc.) at 40 schools. The district has also adjusted the expulsion hearing review process, so that response times are shorter and resources are better identified for students who are not expelled.